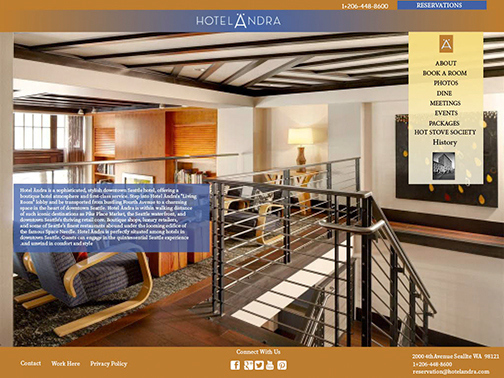 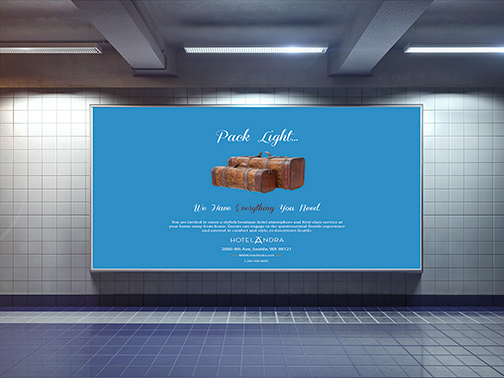 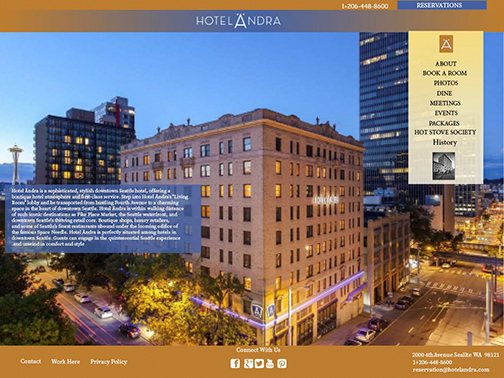 Branding for Hotel Andra and Food Runners. 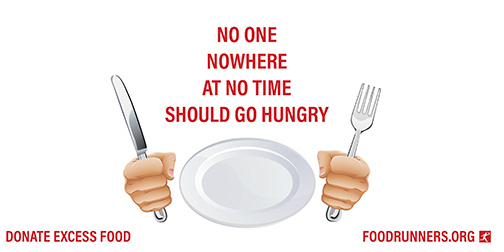 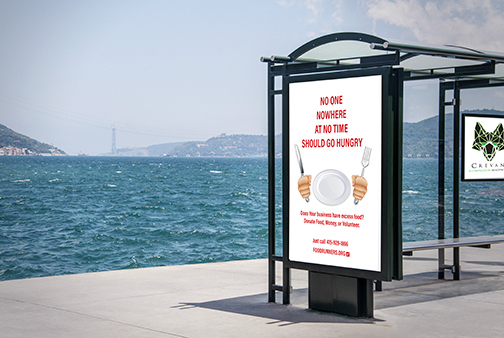 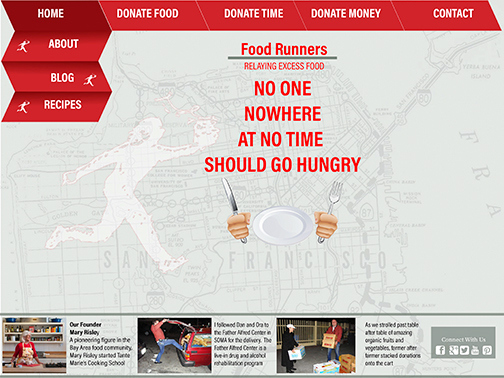 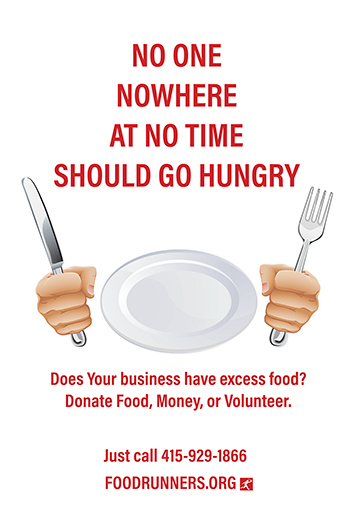 Food Runners, website, posters, bus sign and mockup. 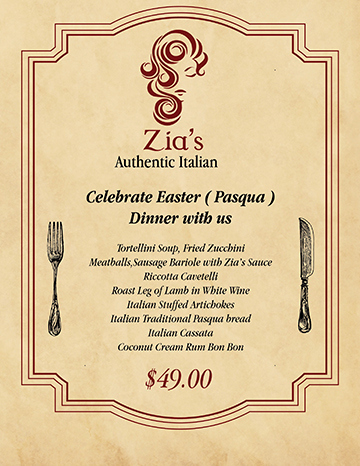 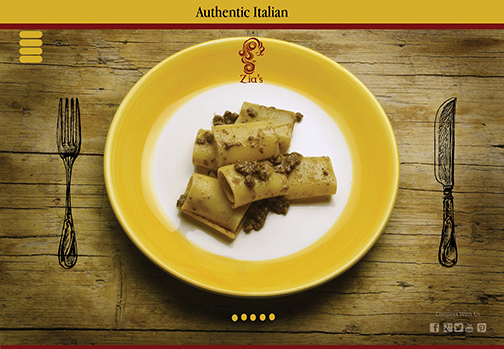 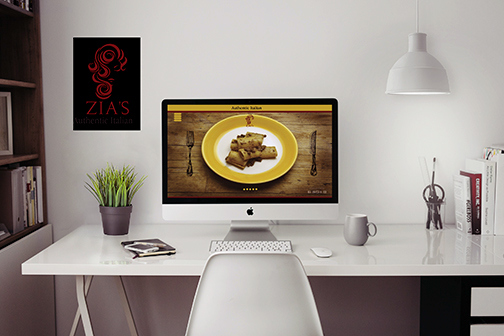 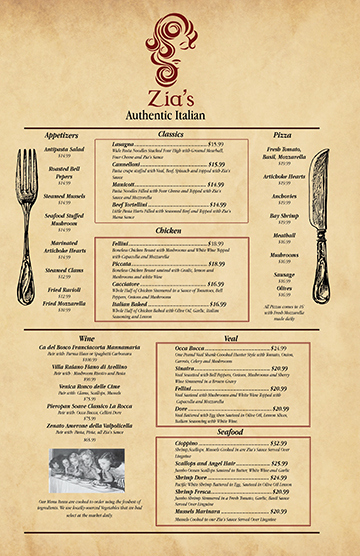 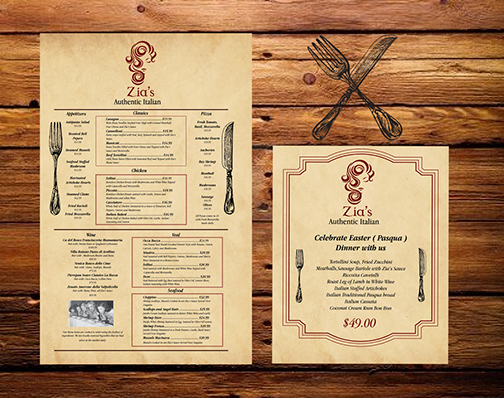 Zia's Italian restaurant, website, menu, ad, and mockup.